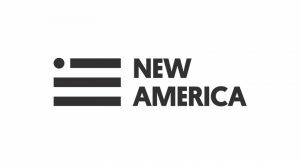 The New America Foundation (New America) seeks to nurture a new generation of public intellectuals, including scholars, policy experts, and journalists, to address major social, economic, and political challenges. In 2014, the Foundation, in partnership with the McKnight Foundation, established The Dual Language Learners National Work Group within New America’s Early Education Initiative to respond to the large and growing representation of dual language learners (DLLs) among young children in the United States and the limited policy analysis and policy response to meet the needs of this population in early childhood education. The Work Group provides a sustained, policy-driven focus on DLLs from birth to 8 years old and conducts research, develops policy recommendations, and disseminates new ideas to policymakers and broader audiences to improve access, quality, and alignment in early childhood education programs.